The Clean Advantage™ program is an eco-friendly program that gives fleet card users the advantage of offsetting the CO2 emissions of their fleets and vehicles. 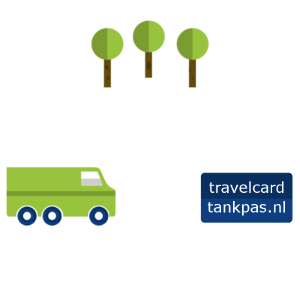 As part of the Clean Advantage™ Program, both Travelcard and Tankpas.nl support a variety of initiatives, across numerous projects, that sequester CO2 locally and around the world. Travelcard, the most complete solution for fleet owners. Clean Advantage™ is a turnkey sustainability program, brought to you by Travelcard, Tankpas.nl, and GreenPrint. This program automatically calculates your fleet’s CO2 emissions and significantly reduces your fleet emissions through proportionate investments in projects that sequester CO2 from the atmosphere, making your vehicles the cleanest on the road – even cleaner than the average electric or CNG vehicles. The Clean Advantage program invests in many projects that not only reduce CO2, but also help to provide habitats for wildlife, clean landfills, and develop local parks and recreational space for people to enjoy. We offset carbon dioxide and other greenhouse gas emissions by investing in a growing portfolio of reforestation, alternative energy, biomass, and other projects both locally and globally. By performing all the heavy lifting, the Clean Advantage program provides a simple and powerful corporate sustainability and goodwill initiative for your company! Support – Working out the exact amount of CO2 your vehicles are producing can be a very complex process, but with the Clean Advantage program, we take care of this worry for you. Build Goodwill – Participating in the Clean Advantage program will allow you to market your sustainable efforts to both your customers and community.